Are commas driving you nuts? Here a cheat sheet to keep handy! 1-You want to separate two independent clauses. Say what? Independent clauses are independent sentences, sentences that make sense on their own. Charles wanted to talk to Laura, and he wanted to tell her that Gyles had cheated. The two sentences above are independent because each one on its own would make sense and be “complete”. Each one of these sentences has a subject, a verb, and an object. They are self-standing. Charles wanted to see Laura, and talk about Gyles. While the first sentence is independent (Charles wanted to see Laura) the second cannot stand on its own (talk about Gyles) because the subject is missing. Gyles, even in his angered state, could not stop thinking about Laura. As you can see the two commas separate a sentence that is not independent on its own, but if you omitted what is included between them the rest would still make sense. Gyles could not stop thinking about Laura. FANBOYS is an acronym to remember FOR, AND, NOR, BUT, OR, YET, SO. Ultimately it’s up to you and, with time, you will develop a good ear for commas, placing them only when necessary. I wanted to talk to Laura, Gyles, and Charles. The conundrum of the Oxford comma: people have been arguing about the “Oxford comma” the comma that separates the last two items in a list. Do you need it or not? It is funny to me how people feel strongly about this. Personally I don’t think the rule has to be black or white. In some cases the Oxford comma is necessary because its absence changes the meaning of the sentence. Laura found herself locked in a closet with Gyles, a pervert and a private investigator. How many people are in the closet? Is the private investigator a pervert? Laura found herself lock in a closet with Gyles, a pervert, and a private investigator. In the example above, using the Oxford comma or not will change the meaning of the sentence and you should choose carefully. Personally I would change the structure of the sentence all together to disambiguate. In other cases the comma might be completely superfluous! 6- When introducing time or place. On a gorgeous Saturday morning, Laura found herself making out with Gyles, the private investigator, into a very small closet. A-ha! Did you catch on that? Now Gyles is the private investigator. Commas do make a difference! Lately writers tend to use as few commas as they can. The general impression is that they slow the narration and might not be necessary. That said, try and record an audiobook without the proper commas…you might be surprised to find that they really are necessary to add the correct pauses. Who am I to give you advice?I am the author of The Italian Saga (#TIS) A series of YA novels taking place in Italy. 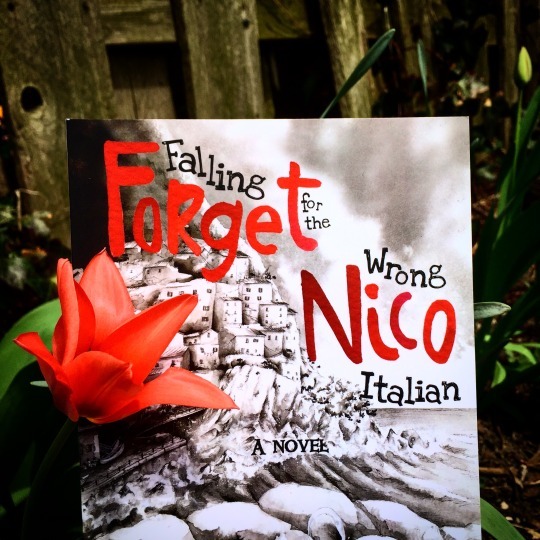 Book 3, Forget Nico, will be available on May 1st!!! !